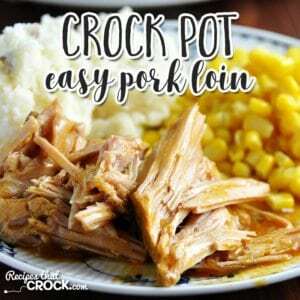 Easy Crock Pot Pork Loin - Recipes That Crock! Four ingredients, put together in less than 5 minutes, tender and amazingly delicious. Do I have your attention yet? 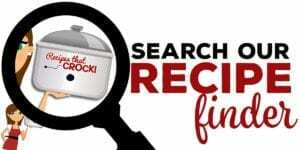 That is the perfect description of this Easy Crock Pot Pork Loin! Aunt Lou here. 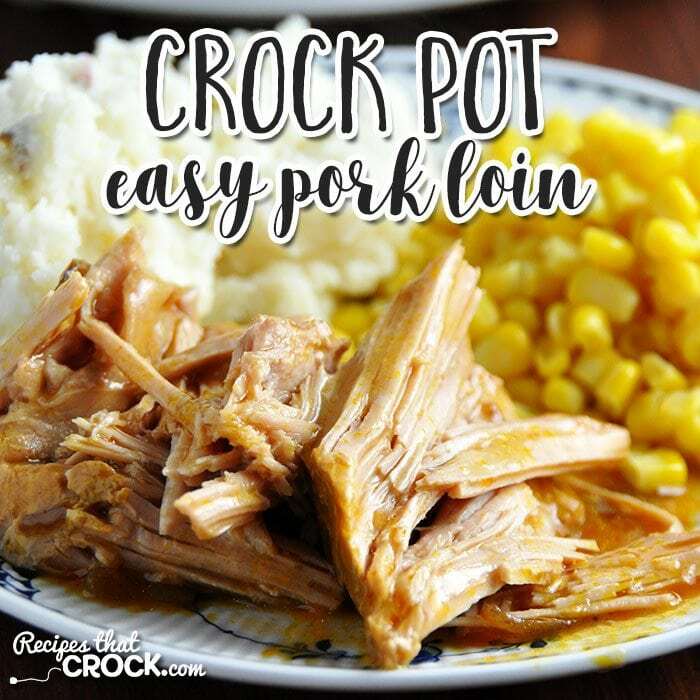 The inspiration for this yummy Easy Crock Pot Pork Loin came from one of my favorite recipe, Crock Pot Easy Special Pot Roast from Gooseberry Patch’s Everyday Slow Cooker. I loved the flavor of the roast and how simple it was to throw together, so I thought, “Why not try it with a pork loin? 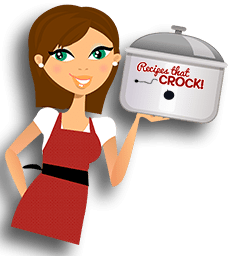 !” And now you have Easy Crock Pot Pork Loin! If you can’t find Golden Mushroom Soup, you can substitute Mushroom Soup. It will change the flavor just a bit, but is pretty close! 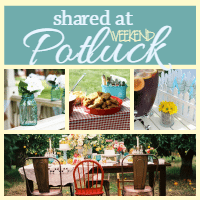 I used Lil’ Bit (my 2.5-quart crock pot) for this yummy Easy Crock Pot Pork Loin. It was the perfect size to let the pork loin rest on a delicious bed of the soups and then be surrounded by the soups as it cooks. 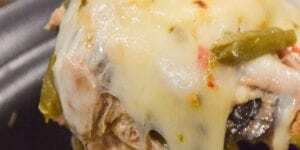 This Easy Crock Pot Pork Loin pairs perfectly with your favorite veggies. 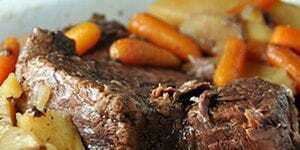 We loved it with mashed potatoes so we could use the yummy gravy on top. Green beans, corn, roasted potatoes, the possibilities are endless! 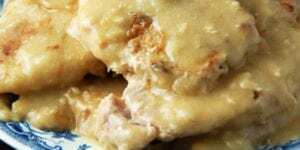 If you are going to do mashed potatoes, I would highly recommend these Garlic Ranch Crock Pot Mashed Potatoes or these Creamy Crock Pot Mashed Potatoes! Yum! If you would rather make your own cream soups, check out this great Homemade Cream Soup Substitute! 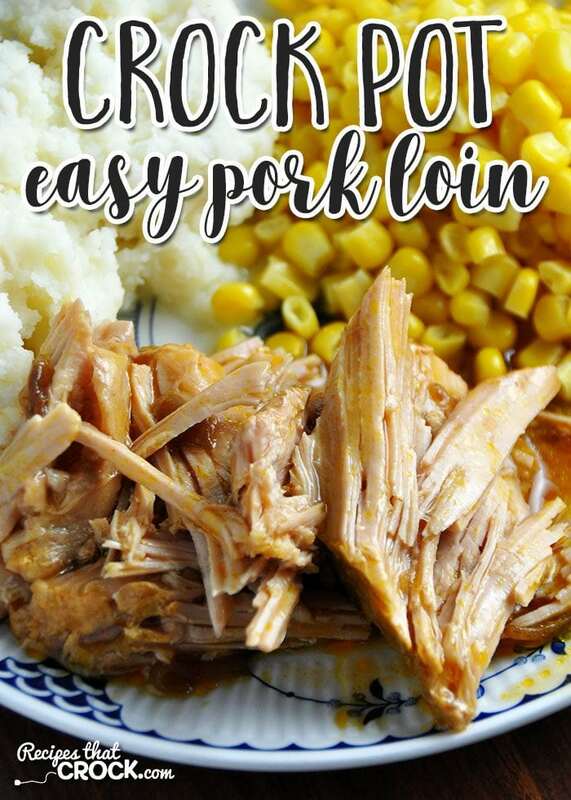 This Easy Crock Pot Pork Loin is delicious and easy! I lost my Mom recently and am now trying to help my 93 year old Dad with meals. I really don’t cook but I know more than he does. I’ve decided to try your Pork Loin With Gravy. What I’m wondering is if the gravy ingredients and raw pork can be packaged into three or four servings and frozen for a future date as I don’t live close enough to cook fresh for him. I hope you can help. I am so sorry for your loss. I would make the recipe first, divide it into the serving sizes you think are best and freeze. 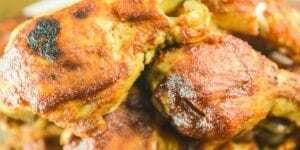 Then when your dad is ready to eat it, he can heat it up in the microwave or put it in a lunch crock (referral link below) and let it heat up all day. Mikey uses his lunch crock a lot when he goes to work. Just don’t use the lunch crock with raw meat. 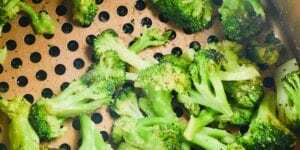 Many of our recipes can be divided up after cooking and frozen for later meals. With how much food we make at a time, Cris and I both do that often. I hope this helps! Prayers for you and your Dad in your time of loss. Most crock pot times are 8hr but can most meals be cook in have the time on high at 4 hr like this one and still be good. Since a pork loin is a tougher cut of meat, it usually does better with 8 hours on low. However, if you need a shorter cook time, you could use a tenderloin instead. Enjoy!